Six friends are taking a vacation in a remote cabin in the woods and discover an abandoned mine nearby. 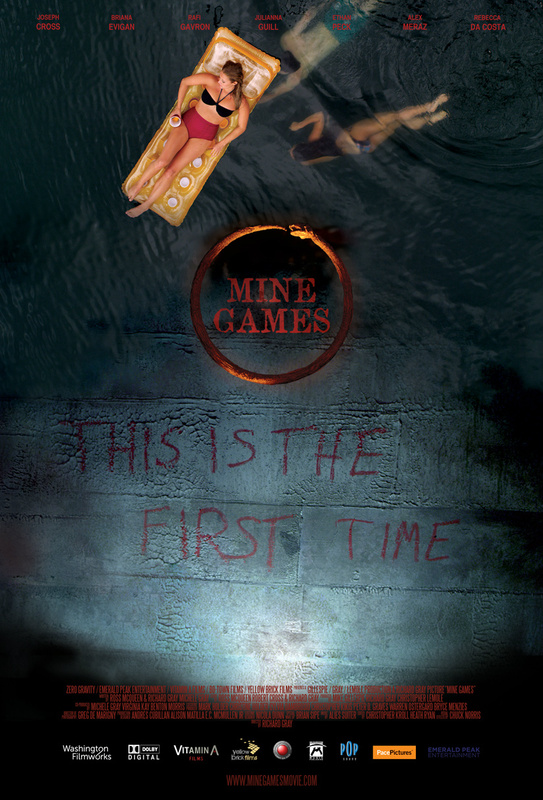 The same night strange things start to happen which all seem to evolve around this mysterious mine, and soon they find themselves in great danger. The Introduction scene leaves you with a big question mark on your face, but also a little bit uneasy. What follows are the usual silly teen horror dialogues, the same type of characters, and good looking actors in their thirties playing college students. Of course one of them is troubled by something, then there is that annoying guy who everyone gets tired of, the mysterious girl, and the supporting characters that are just there. But strangely it works just fine for this movie. There is an atmosphere that left me very uneasy, but at the same time I thought that there is no way this movie could have a decent ending. But the ending is actually well thought through and comes as a surprise even though there are a few questions unanswered that you might wreck your brain about. I really liked the concept, and I think just for the conclusion it is worth a watch. 31 Days Of Halloween: Day 2: The Exorcist (1973) – Will Creep you Out!